LED Active Heat Sink F8560; Design for Spotlight and Downlight 9000lm; Rth0.48°C/w; Suitable for 30w/35w/40w/45w/50w/55w/60w/65w/70W; Self-taping hole or custom mounting holes for Zhaga book 3 and book 11 LED modules; Standard finish-Black anodized. MINGFA carries out strict quality monitoring and cost control on each production link of cob led heat sink, from raw material purchase, production and processing and finished product delivery to packaging and transportation. 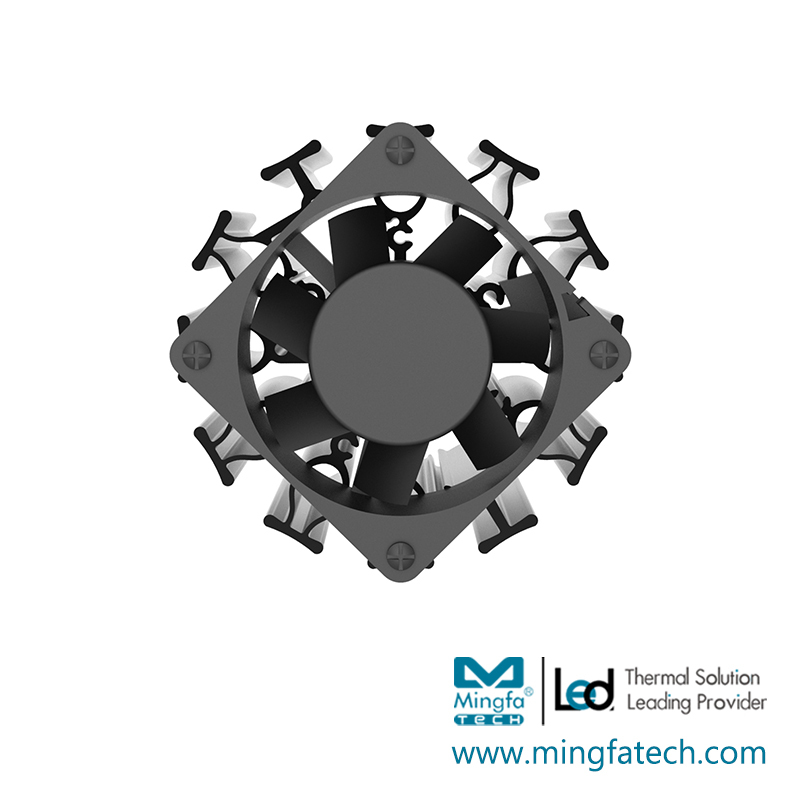 This effectively ensures the product has better quality and more favorable price than other products in the industry.MINGFA adopts eco-friendly, safe and solid material to manufacture led heat sink. 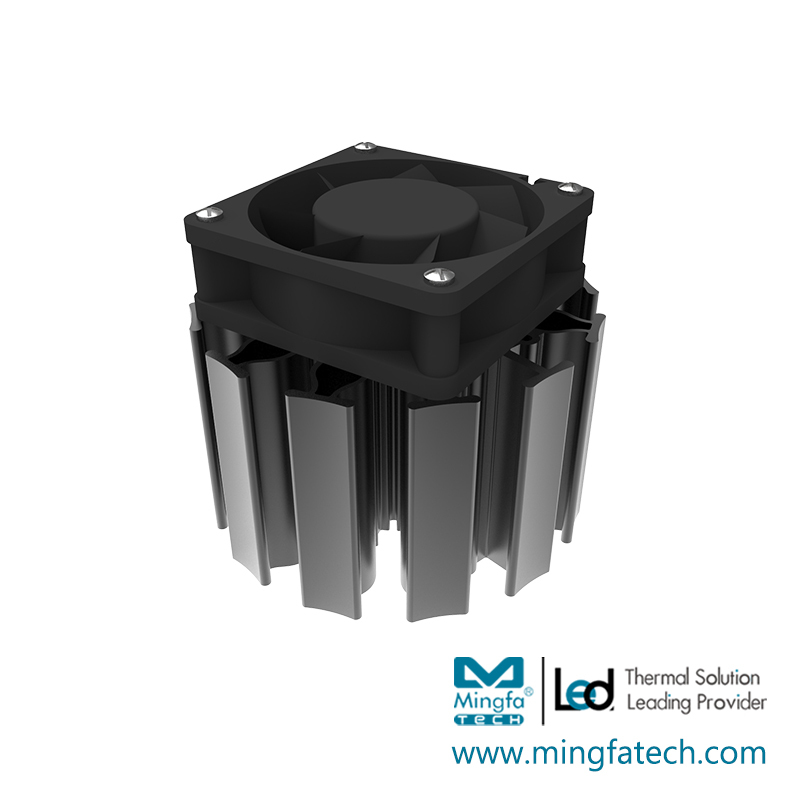 The finished product is safe, reliable, durable and affordable, which is recognized by the majority of customers.MINGFA's cob led heat sink has been further improved based on advanced technology, as reflected in the following aspects. 1. Our well-equipped factory guarantees our made to be produced in a bulk production. 2. enjoys a good reputation for its high quality which helps it develop its best performance. 3. MingfaTech Manufacturing Limited has established the service theory of . Inquire online!